Italian Speaking SEO Specialist: Find the Best Freelancer. While in the last few years Italy was deeply affected by the economic crisis, our country has kept its reputation for arts, beautiful landscapes and delicious food (pizza! pasta! ), remaining one of the most important markets in the whole world. Italians do spend less money, but they don’t really consume less: when there’s not much money to spend, in Italy we say “fatti furbo” (be smart) and for example buy things online, where it’s cheaper. In 2013 the Italian online market was one of the most profitable in Europe, with more than €6 billion in online retail income and more than 15 million Italians who preferred to buy products online, on eCommerce sites such as Amazon, Ebay, Eprice, Zalando, IBS, Ikea and many more. This is why it’s important to rank your Italian website with local Search Engine Optimization: people in Italy or Italian speaking people in other countries (such as Switzerland, Spain, Germany, France and in Latin America) are heavy online spender. If you have a product, a service or some kind of info you’d like to offer to them, there’s only one way to do it: optimize your site for Google.it. 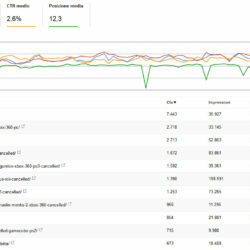 With the help of an Italian Speaking SEO specialist who can advice you with their experience in ranking websites. 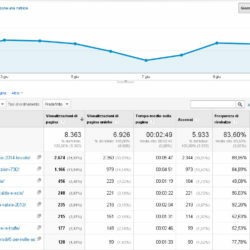 Why to choose a native Italian SEO? Search Engine Optimization is not an easy thing to do: even though there is less competition in Italy – as our companies and websites are not as many nor they are as optimized as English ones – it is still hard to rank a page on Google.it, because of a number of old sites with a long client history and brand recognition. You will need to provide yourselves with all the possible advantages to rank better than other websites in your market: having articles written and optimized by an Italian native speaker with proven SEO experience is a must. It’s not just a matter of writing in correct Italian and using the best keywords; what an Italian SEO Specialist knows is how to communicate with their people, what they care about, how to use words to leverage their clicks, time on page (dwell time) and user engagement. 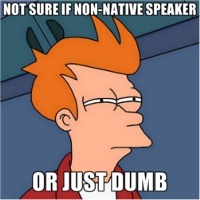 Not all words are created equal: to be a native speaker means knowing the littlest difference between them and how to use these differences to your SEO advantage. 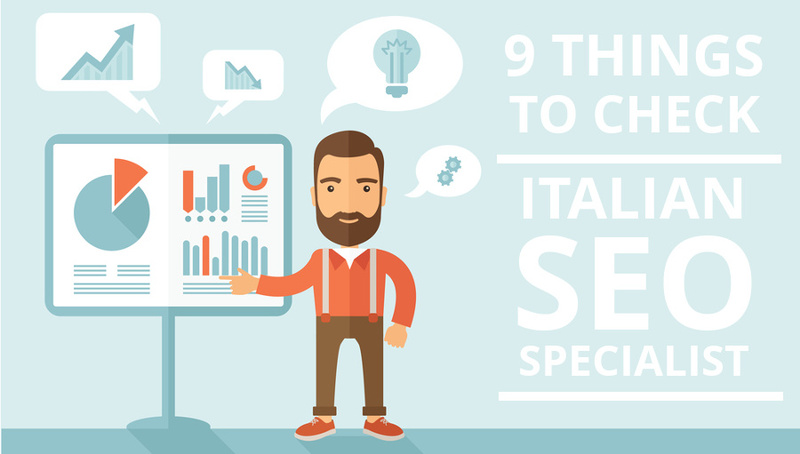 How to choose your Italian SEO Specialist? Just like it’s hard to rank a website on Google, you will probably face the same challenge finding the best consultant for your Italian project. How to be sure that they are the perfect choice? 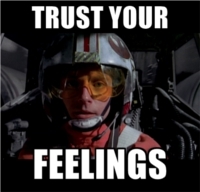 What to ask to freelancers to understand their experience and their value? What kind of features should you look for in an Italian professional? Is it true that Italians always try to rip you off? Don’t worry: I’m going to rip off your stereotypes of Italians and give you a few suggestions to help you to choose a great SEO Specialist for the Italian market. Knowing Italian as a second language is not enough, you need a SEO Specialist that is native speaker for the best results. You may also want to distinguish between somebody who knows Italian as a mother tongue but was not made literate in Italian. Even an average-writer who is Italian native speaker will be better than a better-than-average writer that only learned Italian as their second language. As I wrote before, this is a matter of knowing how Italians feels when they read a sentence or a word, what kind of thoughts it activates in relation to Italian culture, lifestyle, political and religious commonplaces. If they are good as they say, it should be easy for them to prove their past search engine optimization projects, so that you can see how they ranked italian websites on Google, and what kind of traffic spikes you could get by working with them. 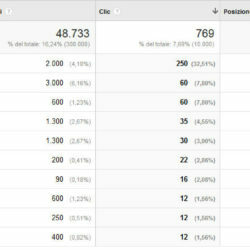 Ask for Google Analytics reports, links to the sites they worked on and check if they still rank for those keywords on Google.it. Keep in mind that sometimes old projects could not rank anymore for the same keywords, because of many different reasons: the owner of the site changed its strategy, no one continued with the search engine optimization, being it by Google penalties, better competitors overtake the position and so on. 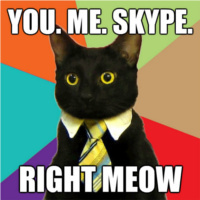 English is not widely known here in Italy, so most of us have some difficulties to talk in English, but at least your SEO Specialist should be available for Skype calls or text chat when needed, as sometimes it’s just easier to talk directly in real time, even if their accent can be difficult to understand. You need them to be able to communicate and organize work in English. And if written English is, needless to say, a must, you can probably assess their English level in the first emails you exchange to contact them and check their profile and availability. While it could be expensive to call someone in another country, Skype is widely used in Italy too, but there are many more chat programs that you could use, like Discord, Steam, Facebook Messenger and so on. Depending on where you live, their time zone could be critically different from yours, that is to say when it’s day in Italy could be middle of the night for you. You should ask them for the most flexible response time possible, so that if you need an important answer you don’t need to wait for the next day (or even for a few days if sending out a question before weekends) for your feedback . You may need to foresee some extra budget to reward this kind of flexible availability to reply in a few hours time – keep in mind that they could have to answer you at night or in early morning – but if it’s something you think it’s important for your business, then you should at least consider to give yourself this option . To work in Italy and pay their taxes regularly, freelancers and web agencies should have a proper “VAT Number” known as “Partita IVA” which is needed for them to report their incomes to the taxman. While it could be cheaper to work with people that don’t pay their taxes, it’s not safe at all. A real professional will always send you an official invoice for their services, (Italian) taxes included. Keep in mind that usually life-cost in Italy is cheaper than in the United Kingdom, USA or Australia, so properly hiring an Italian SEO Specialist is still cheaper even taxes included. 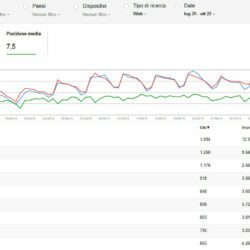 How much can you pay for the best Italian SEO Specialist? An English analysis on SEO hourly rates shows how an English SEO consultant gets paid an average $138 per hour (about €127 or £113), a cost that is still much cheaper than the average $203 per hour (about €186 or £166) asked by SEO agencies. In Italy, SEO rates for freelancers, are even cheaper: you can get their services starting from $45 per hour (about €40 or £35). As I wrote before, life cost in Italy is much cheaper than living in England or New York, italian SEO consultants can ask for less and still get as much money as they need to live their life to the fullest. 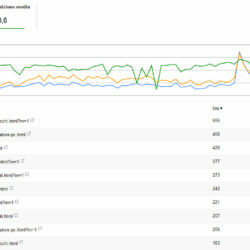 Search Engine Optimization is not a quick, one-time activity you can do for just a few weeks expecting to meet results. You will need to work constantly with your SEO Specialist for at least a year or two to reach your objective and then continue publishing great content, keeping your rankings on Google. This does not mean that there are no short-term deadlines to follow, so be sure to discuss with consultants what can be tracked and reported and when you could expect to see initial results. 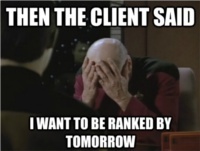 They should be able to present you different deadlines for each part of their SEO plan. A professional SEO consultant will tell you that you need (a lot of) time to reach your rankings, and that’s the only right answer. Don’t trust anyone who tells you they can rank you on the first page of Google in just a few weeks: that could be a hint to unveil their sneaky strategies and black hat activities that could penalize you. You can easily understand the quality of their search engine optimization skills by asking for a test SEO audit on your website or market (if you still don’t have a site). A good consultant will give you a detailed report with many suggestions, data and simple explanation about what you need to rank on Google. Beware of freelancers or web agencies that cannot easily explain you how Google rankings work and how you can reach the first page: if they cannot put it into words, how could they put it into action? 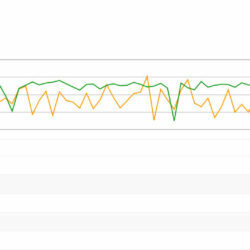 Sometimes even the most promising data, numbers and ROI estimates does not equal to a good work relationship. One of the most important characteristics to choose a consultant is the feeling you get by interacting with them: try to learn more about their life, they passions, interests, music, books and movies taste, most played video games, and especially… their best pizza recipe. Italians are cheerful and funny people, even when working as SEO consultant! So, be sure to learn more about their personality and behavior, to feel what it could be like to work together on a long-term project . I was born in 1983 near the Lake Como (Nothern Italy) and since 1998 I’ve been writing online contents, creating websites and optimizing them for search engines: what started as a personal interest, slowly grown as a full-time job during my 20s, became a freelance consultant service in my 30s. Today, I still live in Italy and I work as a SEO Specialist freelancer to assist Italian and international companies to rank their websites on Google. I love helping users to find what they need, and I’d love to help you to find more clients to help your business. Every day I create great, optimized content, analyze inbound marketing strategies and expand my knowledge on the SEO world thanks to people like Rand Fishkin (MOZ), Brian Dean (Backlinko), Davide Pozzi (Tagliaerbe) and Giorgio Taverniti (Forum GT). Optimizing your site for search engines is caring about user experience and it implies answering users’ queries on Google better than all of your competitors. Better content, better UX, better Google bot crawling: it’s all easy-to-do stuff when you work with a local experienced SEO consultant. A deep keywords research and analysis of user queries related to your market in Italy, to understand what people are looking for. A deep analysis of Italian user expectations when using a search engine in order to provide the definitive answer to what they look for (User Search Experience Optimization). 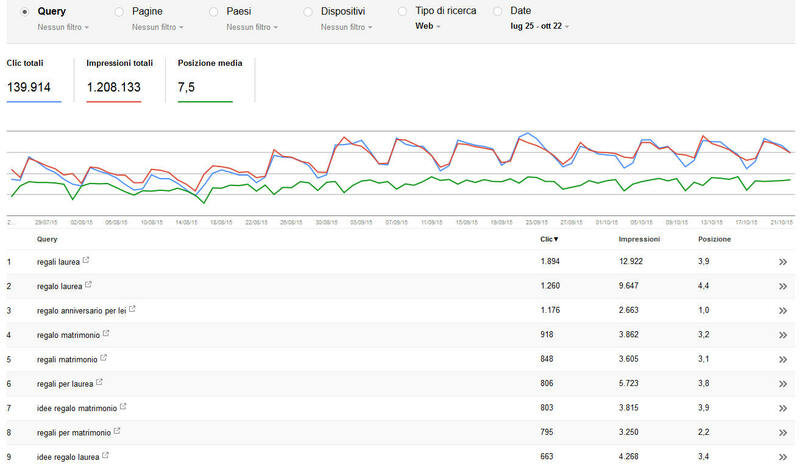 Competitive research: analyze your Italian competitors, and understand how hard or easy would be to rank your website in this language. Developing a personalized SEO strategy that suits your timing and budget. 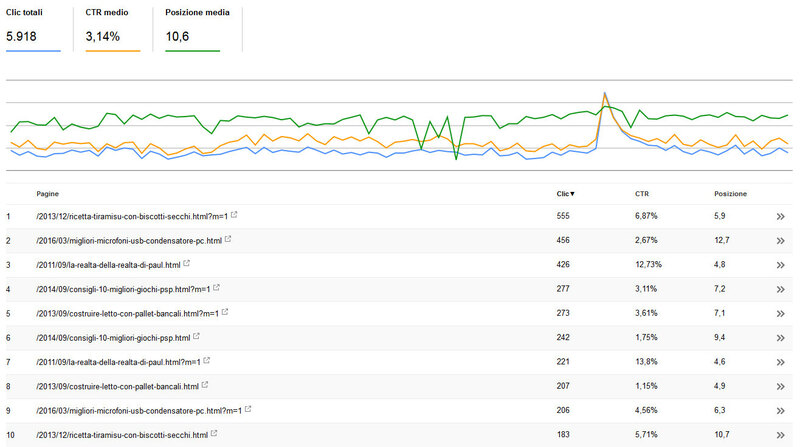 Internal site optimization to create the best metadata in Italian (Technical and on-page SEO). 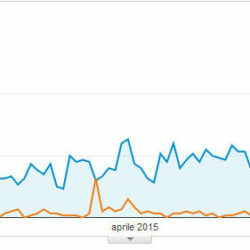 Writing and expanding your site contents, to make sure it is of real value for Google.it and for Italian users. 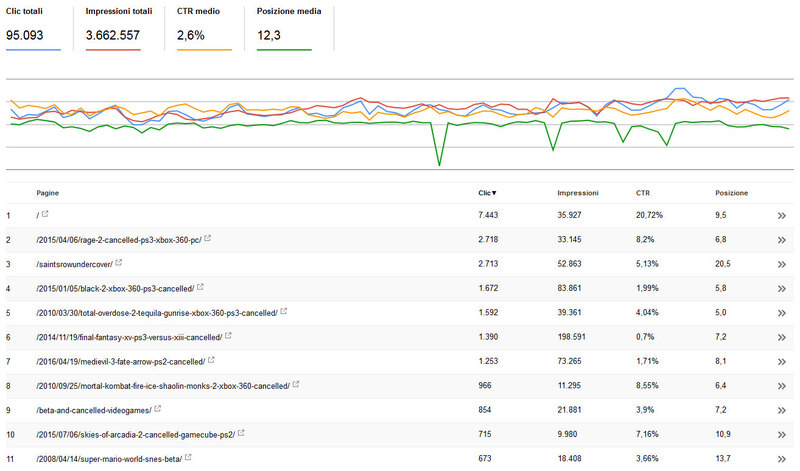 A deep analysis and data tracking on Google Analytics, Search Console and other SEO tools, to understand how users and search engines behave, and then to refine our strategy accordingly. Providing your websites with clean and lightweight CMS and responsive templates for the best user experience. Foreseeing periodic updates (depending on the site) with news, interviews and articles of real value for Google and for users. Interacting and collaborating with experts and Italian communities related to your market, and take a chance to test the market suitability, making contacts and sharing your contents. Earning organic, quality inbound links from Italian blogs, websites and social channels (link earning). If all the points mentioned above are developed with care and perseverance, then your site can rank well on Google, and receive more and more organic links from satisfied users, amazed by its content. Here are a few screenshots from my past search engine optimization projects: please feel free to ask me any related questions you should have. All my SEO services strictly follow Google’s guidelines and user-centric approach, such as User Search Experience Optimization, copywriting and content marketing. It should be emphasized that optimizing a site for the Italian market is a job that requires a lot of time and dedication, to prepare and create the best strategy, to write contents, to update the site over time with new articles or services, and in order to receive organic links. In order to optimize a site I work on average dozens of hours every month, and my clients invest about $550 (€500 or £450) each month for their search engine optimization, following my rates starting from $45 per hour (about €40 or £35). 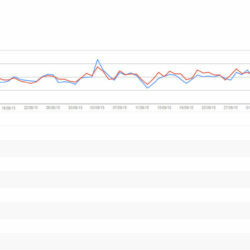 Usually you need at least 1 year of SEO activities to see the first pages of your site ranking well on Google. Of course each website is a story in itself. 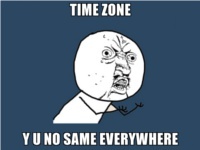 Also, strategies and timing change depending on your market and on your competitors. To better understand how much time and money you could need to rank your site on Google, please ask me for a preliminary analysis and a free estimate by filling out the form below. SEO Specialist: freelancer or Agency? When you are searching for someone to optimize your site, you usually have two main options: to collaborate with a freelancer or to work with a SEO agency. There are different pros and cons for each one, here’s a brief recap to help you understand what could make your case . A team composed of many professionals in different fields, other than SEO, which could help if you need help in something else too, for example graphic design or Google Adwords. 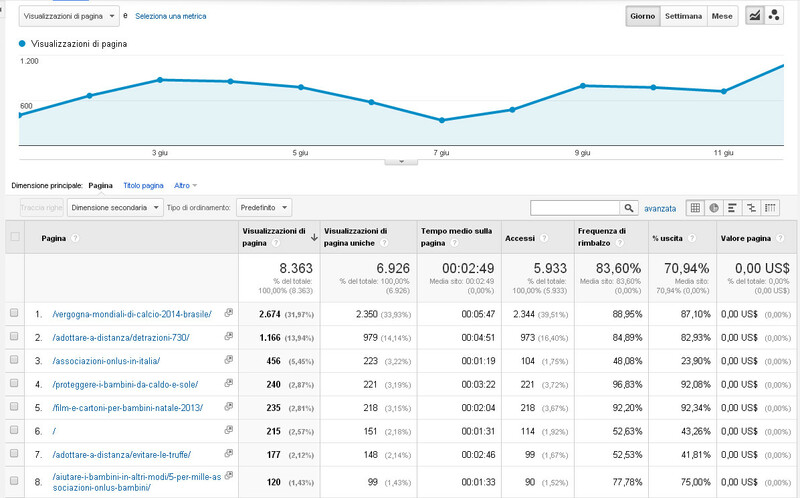 Whoever you choose for your Italian SEO project, good luck! As always, feel free to contact me for every question.